Planning To Throw A Party? 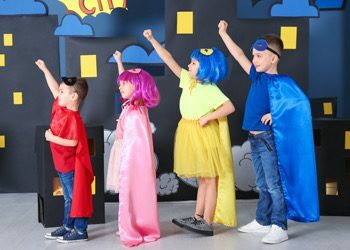 Whether it’s a kid’s birthday party or just a fun get-together for you and your friends, there’s nothing better than designing your party around a theme. The party theme pulls everything together, and makes the party that much more fun. It also makes planning the party easier, since all your choices – from food to decorations, all have to revolve around your chosen theme. But with countless party theme possibilities to choose from, how do you know which party theme to pick? 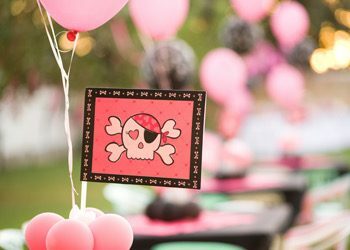 As party planning experts, we’ve listed down some of the top party theme ideas and explain what makes them awesome. Looking to throw a party that has a little bit of adult fun? 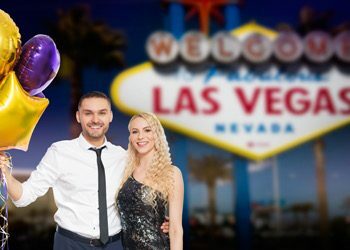 Why not go for a Las Vegas and casino-themed event! Tell your guests to dress up in their fanciest suits and sparkliest dresses, and serve cocktails and shots while spinning the boards and laying out the cards. We’ve got some awesome balloons for this kind of event, from exclusive poker chip balloons to clubs, diamonds, hearts, and spades. Food, cake, music, decorations – everything should have the superhero touch; and why not offer capes and masks to all the guests? Need some help with the decorations? We’ve got just the thing – Avengers balloons and Batman balloons. Need more? Let us know and we’ll design them just for you. Let’s travel back to the land before time, and take a journey to the time of the dinosaurs! 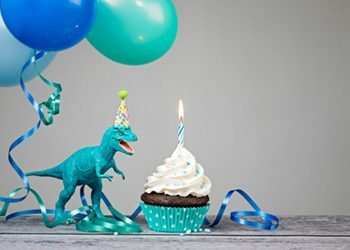 No kid can resist a dinosaur-themed party, because there’s just something about dinosaurs that make them so timeless. Use your creativity and incorporate dinosaur-shaped goodies, someone in a dancing T-Rex costume, and some 3D Dinosaur balloons to top it off. The kind of party you throw when you just want to feel extravagant. This is all about class – simple yet gaudy, formal yet obscene. Rich cocktails, exotic hor d’oeuvres, and if you got the space and the money for it, maybe even a live band (and not the electric guitar kind). At this party, you and your guests are expected to dress up and raise the bar. For this, we recommend simple yet bright balloons. Is it your turn in your family or group of friends to throw the annual Valentines/Halloween/Christmas/New Year party? The task can seem daunting on a holiday, because hosting a party on a holiday means you’re not just risking a boring experience, but you’re risking ruining everyone’s holiday. Halloween: Just remember one word: spooky! 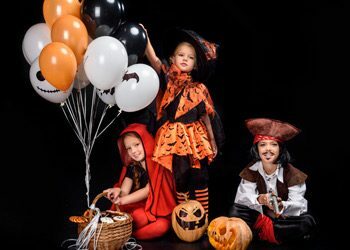 Find everything spooky you can get and turn it into a part of the party – from little creepy skeleton knick knacks to giant scary monster masks hung on the walls. Even the food should be freaky, with “eyeballs” in the pasta and “worms” in the drinks. And of course, the traditional colours of orange and black should be on everything from the invitations to the Halloween balloons. Christmas and New Year: Even though they’re just a week apart, the themes of these two holidays are night and day. If you’re dealing with Christmas, you have to embrace Santa, snow, and mistletoe; New Year, and you’re dealing with new beginnings, cocktails, and countdowns. Check out our New Year and Christmas balloons for more decoration ideas. We get tons of requests for custom sports-related balloons, and it’s not hard to see why. 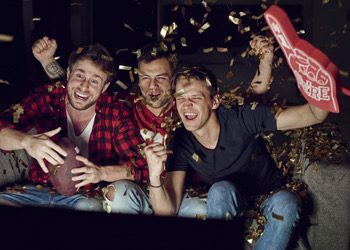 When a huge match is coming up and you want to invite your friends over to watch, what better way to truly cement your viewing party than with the food, decorations, and balloons to match? We’ve got some awesome ready-made balloons ready for your delivery, from “Up the Mighty Blues” to “Go the Mighty Maroons”! And if you’re watching us play on the international scene, then why not fill your party with our “Aussie Aussie Aussie!” chant balloons? We can print any logo, any chant, any emblem with your favourite team’s colours – so turn your next match into a fiesta. Cowboys, Magic, Pirates And More! Design & Order Your Custom Balloons Today! 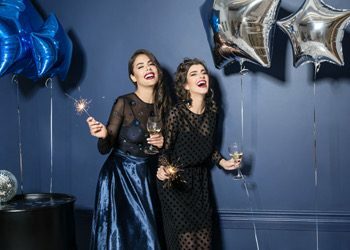 The sky’s the limit when it comes to choosing your party theme, and the more original and unique your theme is, the more that people will talk about it for years to come. At Specialty Balloon Printers, we’re always ready to print the newest and coolest party balloons ever made. Our products are tried and tested, with long-lasting balloons and quick and easy shipping. So let us know what you have in mind and we will get to work on your balloons right away!